Jakob Stokholm received his medical degree in 2006, and finished his PhD-thesis: “Antibiotic Administration and Factors Influencing the Vaginal Microbiota during Pregnancy” at COPSAC in collaboration with Næstved Sygehus in 2012. Now Jakob Stokholm is a senior scientist at COPSAC after working as a postdoctoral visiting scientist in the lab of Martin Blaser, Human Microbiome Program, NYU, New York. 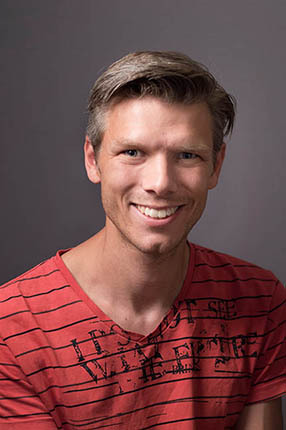 Jakob Stokholm’s research area can be described as clinical translational research combining basic research methodologies and bioinformatics approaches mainly from the microbiology field with clinical data from birth cohort studies. The research has especially contributed to the understanding of how the microbiome in pregnancy and early life is shaped, and affected by factors such as antibiotics and delivery mode, and whether these factors as well as the microbiome can change risk of asthma and allergy. Jakob Stokholm’s most recent study in collaboration with Martin Blaser has led to new insight about the maturation process in the early-life gut microbiome and shown that an interrupted maturation process can lead to a highly increased risk of childhood asthma and allergy. Jakob has received several prestigious awards for his research: Apart from poster and presentation awards, In 2013 he received the Danish Birgit & Svend Igor Pock-Steen Award, in 2015 he received the American Thrasher Research Fund Early Career Award and also in 2015 the Danish Sapere Aude: DFF – Research Talent. Jakob is leading the microbiome group at COPSAC and supervisor for several medical and PhD students and post.docs.